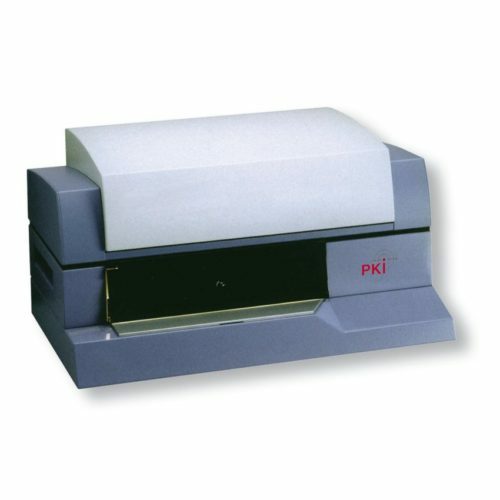 With this docucenter, PKI Electronic has developed an outstanding instrument for manual and automatic document examination. By means of high resolution digital cameras and excellent optics documents, such as passports, banknotes, security papers, can be examined in the short, middle and long wave UV, IR and IR luminescence range. Even anti-stokes inks can be visualized in a wide band range from 740 – 1100 nm. A spectroscopy module is implemented which permits spectral comparison investigations. PKI 8160’s modular system comprises a device for optical acquisition and a special software allowing image and measuring data analysis. The obtained data can be stored on any computer with below mentioned operating systems.